In our last post, we discussed the limitations of old-school solutions. Now let’s look at how to assess the best smart parking solution for you. There’s a lot of debate in the parking industry about the best parking technology, and it sometimes leaves the industry at odds. Organizations are tired of trying to manage more and more complex parking availability and guidance systems, and complexity does not always equal the best fit. They want a solution that solves their problems. 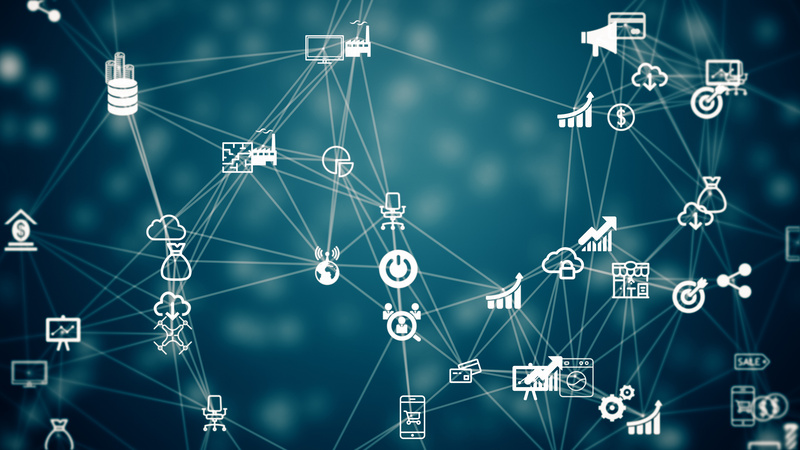 You hear a lot about the Internet of Things (IoT), real-time data, predictive analytics—but the technology you choose has to be something you can actually use. If you’re the parking administrator at a company or university, you want it to be simple. You want to be able to grab the data simply and leverage the data in a meaningful way. If you’re a parker, you also need technology to be simple, not something that completely twists your brain when you’re trying to park your car. Parking has become a bigger and bigger problem for everyone. It takes a lot of time and energy for people to circle trying to find parking, and it takes lots of money and resources for organizations to manage those environments, only to find out the solution they were offered and implemented hasn’t solved the problems. If you have legacy investments already in place on your campus today, you want to figure out a way to integrate them into the new parking technology that’s coming down the line and some of the platforms that are available. Organizations should focus on parking availability certainty, not probability. Look at accuracy versus estimates, and know your parking availability down to the last car. 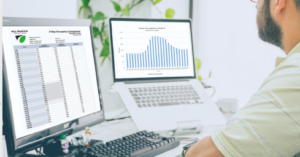 Take the information that you may have captured in an Excel spreadsheet and start to do some comparisons to see how close you were to what the real numbers are. Look at parking data for more exact data sets to inform infrastructure development. Whether you are looking to make a profit or planning for growth, you need true data in order to develop a roadmap of how to get there. At All Traffic Solutions, we believe that the best path to true data is a cloud-based system. You don’t want servers, manual updates or manual field service—you want a system that delivers true data quickly and remotely and gives you the ability to tie in other systems for greater benefits. If you have ALPR and a permitting system but you want to install a counting system, you should be able to tie them in and have them all on your cloud-based platform. What do you want your data and technology to do for you? Do you want to monitor and manage your pay-to-park spots so you can set rates and pricing? Do you want to simply capture the number of people who park on your campus? Do too many employees park in the visitor lot or in handicapped or expectant mother spaces? Not only can you manage it all with the proper mix of sensors and wayfinding, you can actually help develop policies that have a positive impact on your organization. Here are some questions to ask when figuring out the right parking availability and guidance system for you. What does the physical infrastructure look like? Do you have a mix, or is it all garages or surface lots? Do you have defined entries or open access? Do you have designated entrances and exits, or is there an enter/exit opportunity with a single lane of road? Do you use lane delineators? Do you separate things off using a delineator system? Do you have design restrictions? This is a big one. You may want high-tech equipment and sensors and the latest signage, only to discover there are design restrictions. Do your homework and find out before you make selections. Do you need to count both spaces and zones? If you have huge corporate parking garages where you enter on one side, exit at the other and park somewhere in between, do you want to track which zones are experiencing the most traffic, or do you want to know where most people choose to park? Do you want counts at the zone level, by individual space, or do you need to count them both? There are many good systems available that will not only help you count spaces but will also provide information on which spaces are open and which are closed. What are your signage requirements? There are many excellent options available in terms of signage. Do you need standard count availability signage, or do you need a monument board that tells you the availability on each level? 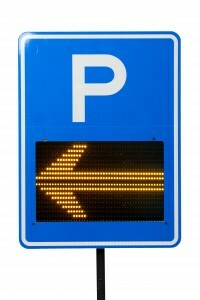 Do you need signage that not only provides parking counts but corporate messaging as well? Do you need signage at all? Could you provide availability with a simple red/green bollard system that shows parkers exactly where they can park? Do you have existing counting equipment? Do you already have something in place that counts people coming in and out, but you’re just not getting data from it? You should be able to integrate your existing counting system into your platform. When asked, many organizations will respond, “I want all the parking data,” but what they don’t realize is that ALL the data is like a big fire hose. It’s best to think strategically. Determine what you want initially and what matters to you the most today. Then start to build out your data, based on your reporting needs, from that point and you’ll develop a healthy number of reports as you move through the process. Collect three to six months of data so you can start to drive your business through forecasting based on accurate data. Our previous post discussed limitations of old school solutions. In our next post, read about how ATS can help you achieve “Availability Certainty” using connected parking systems and real-time data. Traditionally, parking availability data used for guidance, pricing, planning and reporting has been based on estimates and anecdotal information, but today that’s no longer an option. If you’re a parking manager, understanding real-time availability is central to providing efficient wayfinding and better customer service. Real-time data allows you to maximize revenue by implementing dynamic pricing based on current demand. 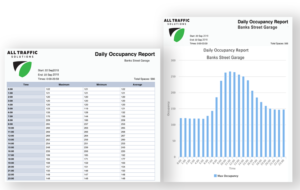 Real-time availability data gives you insight into how your parking organization is currently functioning and changing, and what the latest trends look like. 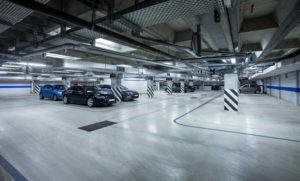 In this blog post we’ll look at the stark contrast between “old school” parking solutions and the next stage of parking, mobility and technology, and how the Cloud and IoT (Internet of Things) are helping parking managers gain efficiencies, save money and deliver a better parking experience. Efficient, accurate routing is really critical to sustaining optimal traffic flow, but many existing parking guidance solutions are woefully inadequate. They often route people to facilities that are full, causing would-be parkers to circle garages, lots and city streets—leading to traffic jams and agitating everyone. When signage is present, it’s not always designed to be helpful—legacy signage can actually cause congestion by forcing drivers to slow down to read because information is presented in a way that isn’t highly visible or legible. People today expect more than physical parking locations and availability numbers. They’re looking for specific zone and even space-specific information for their immediate parking need, be it for shopping, a special event, or a business meeting. The methods you used in the past to understand availability don’t really work anymore because they don’t tell you everything that’s happening within your premises. You may have an idea based on past experience, but you don’t necessarily know what’s going on at any given time. For example, do you really know how your parking areas are being utilized? If some parkers are leaving their cars for eight or nine hours at a time at a shopping center, it could mean they’re not actually shopping—they’re commuting—but you won’t know this unless you have occupancy data or unless you were to watch and manually record each vehicle. It’s not practical to assign a person to stand in the corner with a clicker; it’s far more efficient and helpful to count occupancy and occupancy duration in a sensor-based environment that drives that data in real time. Everybody would love to accurately forecast parking availability, but it’s almost impossible if you don’t have accurate real-time parking availability data. Public safety is often addressed piecemeal in the parking world. Some garages still have somebody periodically counting vehicles manually to get an idea of capacity throughout the day and actually build their safety policy around that information. Many parking facilities still use loops, which can be not only unreliable but tear up infrastructure, take days or even weeks to install and can disrupt the facility during installation, calibration and setup. We consider that old school. What Would Your Perfect Parking System Look like? How would your current parking operation be impacted if you had immediate access to real-time parking availability data? Think of each component of your end-to-end parking process and how you could optimize it with real-time data. For example, if you’re a municipality and you want to guide eventgoers through your town to convenient, available parking, how would guidance be enhanced with access to up-to-the-minute occupancy data? 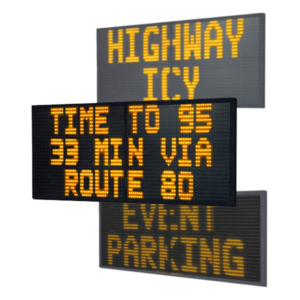 You could provide the latest availability information via continuously updated signage on major roads or through your app or website. In the garage, you could tell parkers where they could find parking by level, row, space and in nested areas. Add real-time traffic data to the mix and your parking system becomes even better. Let’s say you’re running an airport and you want to provide accurate, efficient traffic routing from downtown out to the airport. At the airport, you want to route people away from a construction area to the nearest available parking in time for them to make their flights. At exits, you want to tell parkers the most efficient way to leave the parking garage or lot to avoid congested routes to major roadways. You can accomplish all this by leveraging real-time availability and traffic data. Commercial operators can reduce cost and increase profitability using real-time parking data. If you’re a commercial operator, you want to get the most out of every space you have available, and you can maximize yield with dynamic pricing that’s driven by real-time data. If your facility has an app or reservation feature, with real-time data you can drive revenue. Many factors impact municipal parking. Increase in headcount, office changes, consolidation, and construction can all affect where people park. Local events, weather and time of year also play a part in parking demand. Many municipalities prefer to manage parking based on known factors, such as how much they can charge to accommodate current and potential growth. They want to consider impacts of growth, for example, if a large company sets up headquarters in their town. With accurate availability data, they can plan for that and be able to manage it when it happens. Municipalities also want to consider the residents and anchor businesses, those who help build the community and keep it stable. With real-time data, parking can be leveraged to aid economic development and enhance quality of life for residents. Universities face similar problems as student enrollment increases, especially at commuter schools. In many cases, they rely on a security or facilities team to go out and perform manual counts across surface and garage lots. They’d like to increase student and staff satisfaction with real, accurate guidance, making it easier to find parking and get to class on time. They can do this by understanding their true parking availability. By having real-time availability data, they can make smart, money-saving decisions based on facts and not guesswork when it comes to building, renovating, or expanding parking. Productivity, morale and stress levels are affected when employees are spending 25 minutes looking for a parking space. Corporations want to get employees out of their cars and into their seats faster. They can do this while leveraging technology they’ve already implemented and future-proofing their next investment. For example, if your company already has a gate system, you may want to put in a counting system but without having to tear up the gates. Companies can use parking data to drive additional mobility and workplace transformation initiatives as well. If you are at capacity and don’t have anywhere to build, you can use a parking availability system to drive rideshare programs or flextime and develop policies around how much parking you have now and how much you would like to have in the future. Companies also must consider the communities in which they’re located. If your parking garage is situated off of a public road, you don’t want your employees tying up traffic in the morning or the afternoon when they’re arriving or leaving work. In our next post, read about how ATS can help you assess your parking needs. 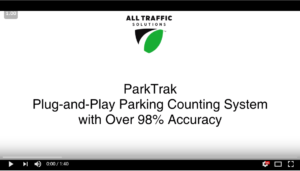 If you’re a parking operator, when it comes to having a parking management system that allows you to understand your total parking availability in real time, the deck has been stacked against you. There are many factors that have made it very challenging. In today’s post, we’ll talk about those challenges, and how you can leverage the latest technology to move you closer towards having the right-size, right-fit, right-technology parking system you want but thought you couldn’t have. 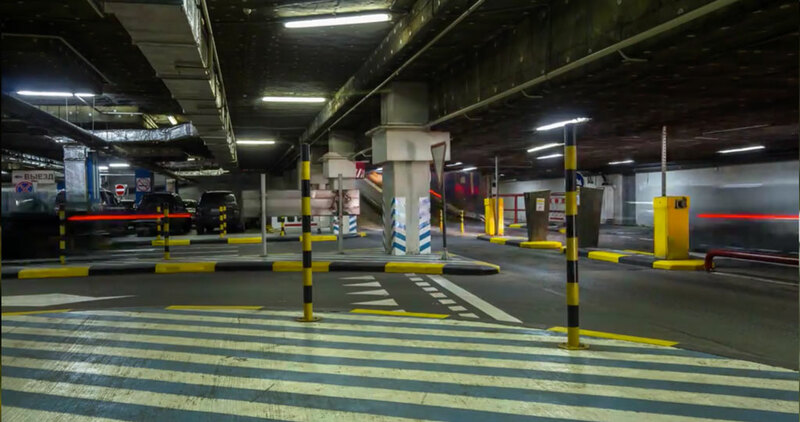 Parking systems have traditionally been built on platforms that use proprietary software and therefore don’t “talk” to other systems, and don’t provide information and data in real time. Also, the systems required the purchase of a server, plus ongoing IT support. 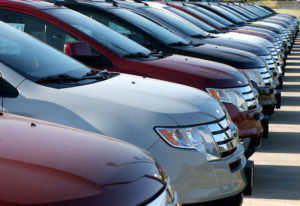 As a parking facilities manager, how can you gain insights into your entire inventory? Every lot, every garage, all your on-street parking and every premium space? The answer lies in adopting a smart cities approach to parking. Here are five best practices your organization can implement now to attain the right parking system for you while continuing to use the systems you already have, to gain a real-time understanding of your total parking inventory. 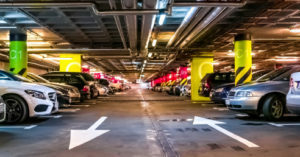 The Cloud can simplify things, allowing you to leverage the IoT (Internet of Things) to connect your parking-related devices so they can “talk” to one another. 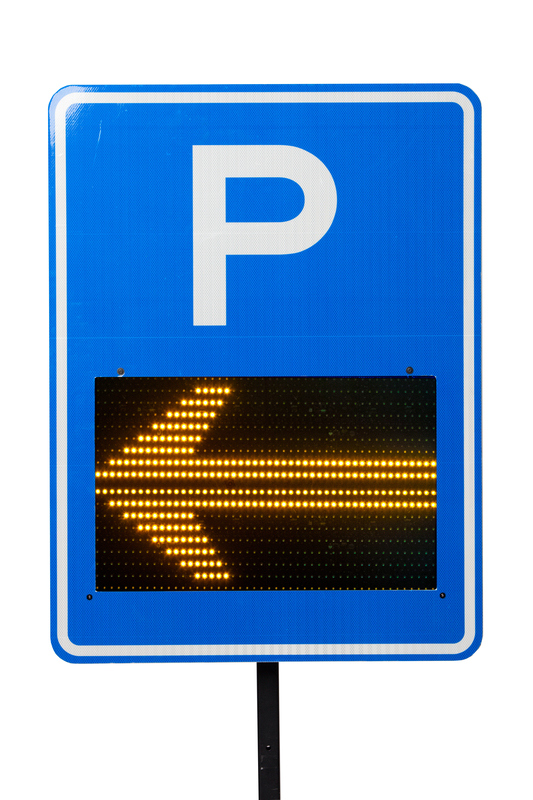 So, your parking counting system could tell your variable message signs the current availability on each level so the signs can share that information with parkers. You can implement dynamic pricing automatically, increasing the hourly parking fee when lots approach a preset threshold to maximize revenue. When you use these technologies you can monitor all your systems from anywhere using the Internet so they’re easier to manage, improving the parking experience for parkers and operators. You also want to look for a parking management system that is built using an open-technology platform, which gives you maximum flexibility now and in the future. For example, ParkingCloud from All Traffic Solutions connects all your systems on a single, central platform. This gives you limitless technology choices, independent of your current environment—as complex or as simple as you need them to be. You leverage your existing technology, can add new technologies as they are developed or as your requirements change—without being locked into one vendor’s platform. To make parking data work for you, you need a system with an open architecture. 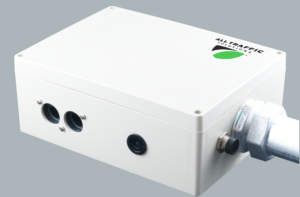 This allows for easy integration and easy viewing and analysis of data all in one place. Once the data is all in one place, you need the ability to analyze it for decision making and planning. For example, having parking occupancy data in real time and over a period of time allows you to track peak occupancy times, when vehicles enter a garage or lot and leave without paying, and how much inventory you can offer to aggregators to maximize revenue. 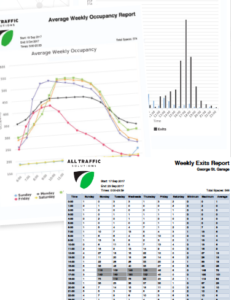 Real-time occupancy data is one of the most powerful tools parking managers can have. Furnishing real-time occupancy information to parkers alleviates congestion, gets people to open spaces faster and allows them to get to their destination and go about their business, which makes everyone happier. Real-time occupancy data reduces overall frustration and improves safety in and around parking facilities, and allows parking managers to respond faster to issues and better plan for the future. 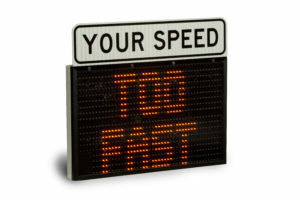 Drivers are becoming more aggressive, so you need to plan accordingly, whether that involves placing traffic calming signs for speeders in a garage, sending messages to a sign or an app letting drivers know there’s been an accident, or using radar-enabled signs that automatically alert speeding drivers to slow down, the technology now exists for your organization to be proactive in communicating with parkers. Providing timely information helps calm drivers and reduces frustration, which has a positive effect on safety in and around your parking facilities. Using real-time messaging to communicate vital information to parkers is an essential best practice in parking facilities management. A simple message like, “Accident: Take Alternate Route,”along with a system that reroutes accordingly can be a great way to ease congestion and enhance overall customer, employee and commuter satisfaction. By implementing these best practices, you now have a centralized cloud-based system that provides insights into your total parking availability so you can improve the customer experience, maximize parking revenue and plan for the future. For information on how All Traffic Solutions can work with you to build your custom parking solution contact our parking solutions experts today. Download the Smart Parking Solutions Overview. Find out more about ATS Smart Parking Solutions. Read our white paper How Technology, Data and the IoT are Redefining Parking Facilities Management. If you’re frustrated about having to use multiple systems to manage your parking availability, guidance, safety and security, access control and vehicle routing—read on. In this post, we’ll talk about what your parking management system can look like today by leveraging an open platform, and show you all that one single parking management system can do for you. Historically, parking systems were hardware-driven. Whether it was single-slot meters, parking lot access or counting systems, everything was very “closed-architecture”. No system really talked to another system, so you accessed each one separately—one at a time—and there was no way of connecting any of that information. About ten to 15 years ago, there started to develop a trend to try to fix that. That trend is the Internet of Things, or IoT for short. 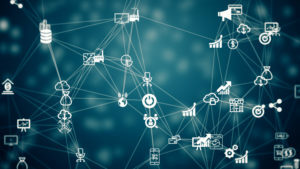 IoT essentially means that any device that can connect to the Internet has the ability to capture data, whether it’s your phone, a parking meter or a parking garage gate. We slowly started to see a shift to flexible software mobile solutions, but the key is that they are accessible to the Internet. By being accessible to the Internet, they have the ability to capture and record data so that they can keep it and analyze it over time. With an IoT-driven, open architecture parking system you can tie all your legacy systems together onto a single, easy-to-use platform that delivers a superior parking experience for parkers, operators and the community. The ParkingCloud parking management system from All Traffic Solutions uses this open technology for counting, guidance, safety and analytics. ParkingCloud is the only cloud-based IoT platform purpose-built for the parking and transportation industry that integrates all your devices, data, signs and output in one place. With ParkingCloud as your single parking management platform, you no longer have to access each system separately, and you can report on data from all your systems together to give you a holistic view of your entire parking operation. Let’s take a look at all ParkingCloud can do. Citywide parking availability gives drivers heads-up parking guidance so they know where to find parking, whether in lots, in garages or metered parking on the street. Open architecture allows integration with your legacy parking investment so you can continue to use the systems you already have, and can purchase additional systems regardless of what technologies they use without being tied to one vendor. Provide parking guidance by lot or garage, level or space, including premium spaces. For example, as parkers enter your parking facility, they see a sign informing them of the number of available open spaces—as well as handicapped spaces, visitor spaces, expectant mother spaces—on each level. Safety measures in and around parking facilities to protect drivers and pedestrians. These measures can include radar speed displays with conditional messaging that tell speeding drivers to slow down and camera-based counting solutions. Conditional messaging using web-enabled variable message signs directs inbound parkers to facilities with availability (PARKING AT SPRING ST NEXT LEFT), and exiting parkers to less congested routes on entry roads (ACCIDENT ON RT 267– TAKE ALT. ROUTE). Reduces congestion in and around parking areas. Traffic is routed out of facilities on the fastest routes via heads-up roadside messages. You can even program current travel times to multiple routes and have them automatically update as conditions change. Access control using license plate recognition, Bluetooth or RFID to help maintain the flow of traffic in commercial and non-commercial facilities. Trucks are routed to available parking based on remaining drive time hours via their logbook to reduce congestion and idling time (and truck emissions!). Data and reports are available on demand to help you manage real-time routing and guidance, as well as influence long-term planning. You can run and download the reports in seconds, as well as set up email subscriptions so you (and others if you choose) receive specific reports on an ongoing basis. Availability data via real-time access for audit and loss control, trend analysis and parker classification. When you use the best of the new technologies to optimize parking availability, safety and guidance, the result is a much healthier parking environment. You allow people to get where they need to be faster with no hassle, and you improve the parking experience for everyone. Parking is simpler to manage, more cost-effective and more profitable for your organization. Download more information about what parking looks like in 2018. 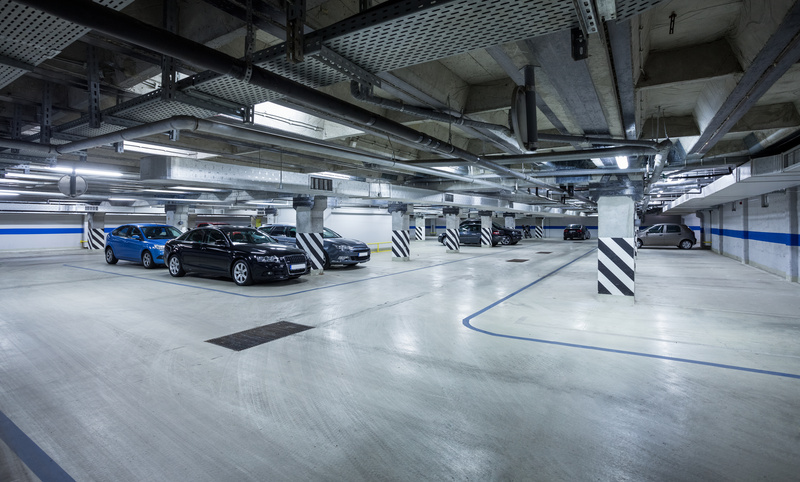 Contact us today to speak with a parking solutions expert. Circling for Parking: Research shows that 30 percent of city traffic is made up of people looking for a place to park. This causes congestion, traffic accidents and frustration among everyone involved—drivers, pedestrians, workers, commuters, law enforcement, even parking enforcement officers. Lack of Timely Information: Parkers simply don’t know where to go. Even when they’re getting information from a sign on the road, a travel app, their GPS or their phone, they don’t have real-time parking information. This results in futile attempts to park in a lot that is already full. Once the drivers realize it, it’s already too late. They’re frustrated, and now they’re stuck in a queue that’s blocking the lot entrance, jamming traffic along the road and endangering pedestrians all the while. Safety Concerns: One out of every five motor vehicle accidents in the US occurs in a parking facility. That doesn’t even include the nicks and dings that happen in parking garages or surface lots. 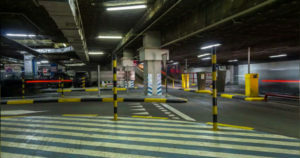 Fourteen percent of all auto insurance claims involve collisions in a parking facility, and these numbers are increasing year over year as drivers become more aggressive. No Room for Parking Expansion: When asked how to solve parking challenges, unfortunately, the first answer is usually, “We’ll just add more parking spaces.” Almost 99 percent of the time, however, additional parking isn’t an option due to space and/or budget restrictions. Greater Demand: Ten to 20 years ago, not much parking occurred on the weekends. When people left work to go home on Friday, they didn’t come back to the city until Monday. After 7 p.m. in the retail districts, everyone went home; there were no parking issues. Today, that’s all changed. People are living in urban communities, staying there all weekend. Many businesses have expanded operations to include weekends, evenings, and sometimes even 24-hour service. This often translates to 24/7 parking issues. In addition to all these issues, parking managers have to sort through the clutter. With so much new technology out there, each claiming to be “the solution you’ve been looking for,” it can be overwhelming for municipalities and parking facilities managers to know just what to do. What if we told you it doesn’t have to be so hard, or confusing? Did you know that technology exists today that is relatively easy to implement, can drastically improve parking efficiency and safety and can help you leverage data to make better decisions for your parking facility as time goes on? **Excerpted from our whitepaper Solving Tough Parking Management Challenges Using Technology, Data AND IoT. For more information on how to improve parking facilities management visit alltrafficsolutions.com or download the full version of our parking management white paper here. Last week we discussed some of the parking management woes that many facilities face on a daily basis. Now let’s take a look at how adopting a “Smart Cities” approach to parking challenges offers a variety of lasting solutions. Just as municipalities are using technology to solve their most pressing parking challenges, your organization can do the same. 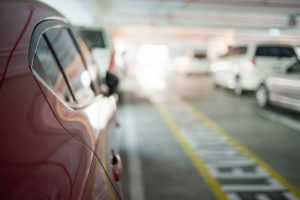 By leveraging the right technologies like cloud-based control of devices and data and sensor connectivity, and by utilizing analytics to track important metrics such as peak parking hours, availability and number of speeding incidents, you can successfully optimize your parking facilities, increase productivity and keep parkers and pedestrians safer. These tools also provide valuable data and analytics for reporting the success of your initiatives to management. Best Practice #1: Manage your parking availability to reduce circling, improve parking space “findability” and increase safety in your facility. Most parkers want to find their spots quickly and easily. Whether you’re a hospital, a corporate campus, a sports venue or a mall, guiding parkers to the spot they are looking for is critical to customer satisfaction.Wayfinding reduces circling, resulting in a safer, less congested facility and lowered emissions for everyone. Your best bet is to track availability and provide notifications to your parkers in the manner most convenient to them at the point that they need it, via message signs, LED bollard indicators or parking apps. Best Practice #2: Use smart traffic calming techniques to provide a safe facility. Speeding accounts for over 27% of traffic deaths in the US. The interaction between parkers and pedestrians has the potential for negative outcomes, so ensure that you are doing everything in your power to constrain speeds to a safe level. Understand where and when you have speeding issues, and implement best practice traffic calming initiatives to ensure that your pedestrians, as well as other parkers, are provided a safe and secure experience. Best Practice #3: Leverage onsite messaging to pass along important communications to visitors. Variable messaging, which provides messages based on input like radar (“Slow down, too fast”) or availability information (“14 handicapped spaces available”) can help parkers quickly and easily get to the parking they need, and contributes to the safest environment possible. Pre-programmed message signs (“Stairway 6 closed, go → to Stairway 7”) are extremely effective in helping parkers have a positive experience. Message signs can also be used for company communications (“Health fair today”). Best Practice #4: Using the Cloud, automate conditional messages to manage your parking and safety 24/7. Conditional messaging is extremely useful in providing important information to parkers even when you’re not there. Information regarding current driving conditions (“Ramp to 6th floor parking icy, proceed with caution”), traffic issues (“Highway 51 experiencing heavy traffic”), and services using pre-set conditional messages, including Time to Destination maps, all work to increase safety and efficiency for parkers. Best Practice #5: Utilize data to understand what your true parking needs are. Knowing when it’s time to add capacity can be truly perplexing. By understanding your true parking availability, you can better anticipate parkers’ needs and have all the information necessary to make smarter decisions about capacity, pricing and access. Real data, rather than extrapolated, is key as you determine goforward plans. If you’d like to talk to one of our parking experts about our solutions please contact us; or request a quote.